This property at 152 Berenger Walk , Royal Palm Beach, FL33414 has listed by Michelle Gibson, REALTOR but has not been updated for quite some time. Please contact the listing agent and broker for up to date information. 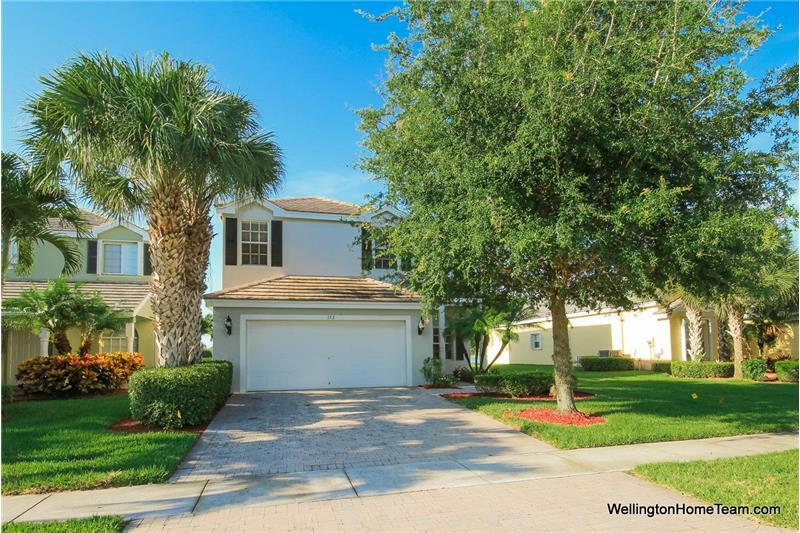 Victoria Grove is a guard gated single family home community that is located on the west side of 441 (SR-7) just north of Forest Hill Boulevard in Royal Palm Beach Florida. Community amenities include a clubhouse, community swimming pool, fitness center, media room, billiards room, tennis courts, playground, roller hockey rink, multi-purpose field and picnic area with BBQ grills and tables. Top rated schools are close to Victoria Grove along with shopping, dining and entertainment. There is also easy access to the Florida Turnpike, Palm Beach International Airport and the beautiful Florida beaches. Victoria Grove offers a maintenance free life style with a monthly HOA fee of $290, which includes lawn care, trimming of shrubs, basic cable, internet, exterior pest control, alarm monitoring, sprinkler maintenance, access to all community amenities, guard gated entrance and management fees. Great waterfront home for sale in the popular guard gated community of Victoria Grove. Situated on a premium lake lot this two story home features 5 bedrooms, 3 bathrooms, a 2 car garage and over 2,400 square feet of living. Greeted by professional landscaping outside and expansive lake views inside you are sure to fall in love with this single family home. Upon entering you will immediately notice the open floorplan in addition to the tranquil lake views, which can be seen from almost every room in the house. The formal dining room, great room and kitchen are open to one another making the space perfect for entertaining. The great room offers sliding glass doors that lead out to an open patio, which has a retractable awning. The upgraded kitchen features 42" wood cabinetry, granite countertops, a gas range, breakfast bar and pantry. The ground floor also features a laundry room and bedroom, which has beautiful wood floors and access to the full guest bathroom. The master bedroom features an oversized walk-in closet, tray ceiling and a private bathroom complete with dual sinks, roman tub, separate shower and linen closet. The secondary bedrooms are a nice size and share a guest bathroom, which offers dual sinks and a tub/shower combination. Additional interior features include tile throughout the main living areas, upgraded carpeting on the second floor and an upgraded washer and dryer.